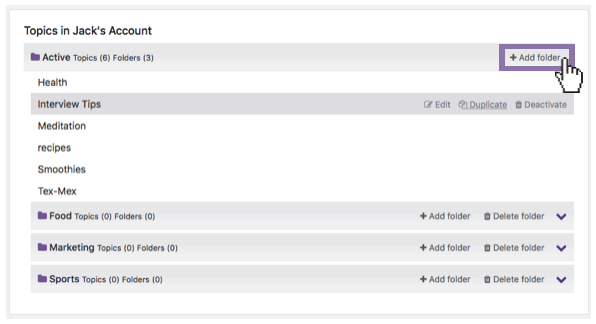 Folders are a great way to organize your topics, learn how to create new ones here. 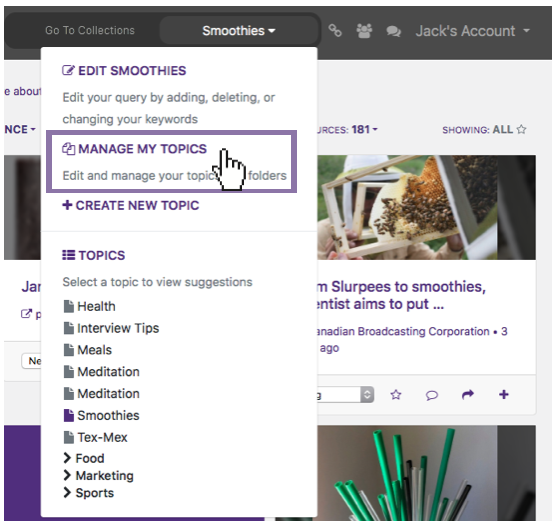 To create a new topic folder, begin by navigating to the topic management screen, which can be done in any of three ways. 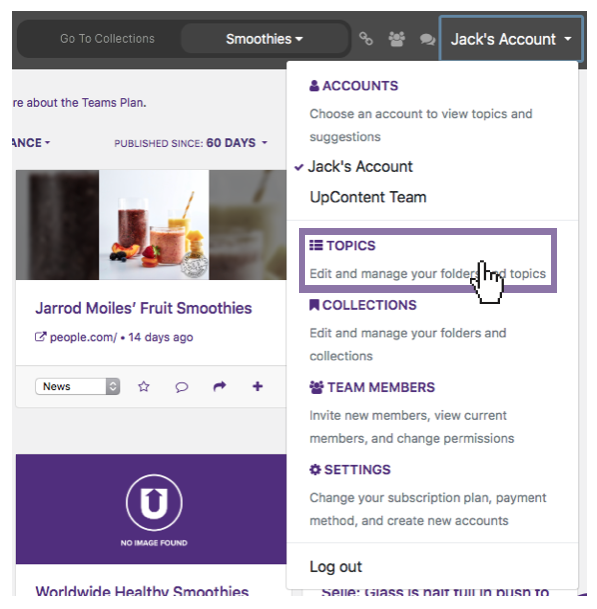 Once you are on the topic management screen, click on "Add Folder"
Note: Each user is given a default folder called, "Active". 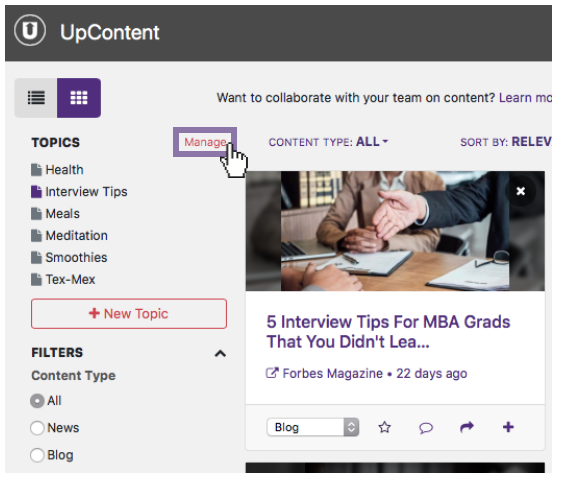 Topics in this folder will always appear in your side-bar and drop-down view for topics. 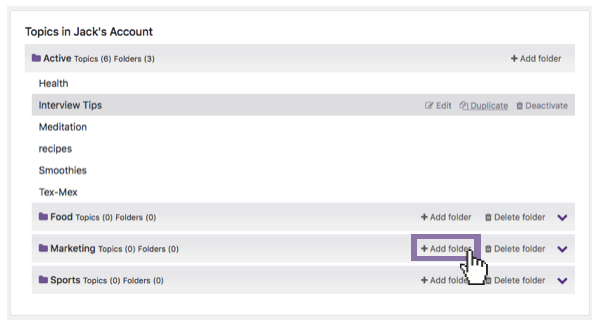 You can also add new folders inside of folders by clicking on "Add Folder" next to the appropriate folder. There is no limit to how many folders you can add inside of folders.